South Australia is now facing the prospect of going 100% renewable as base load power sources such as coal and nuclear are starting to be seen less desirable when partnered with variable renewable energy. 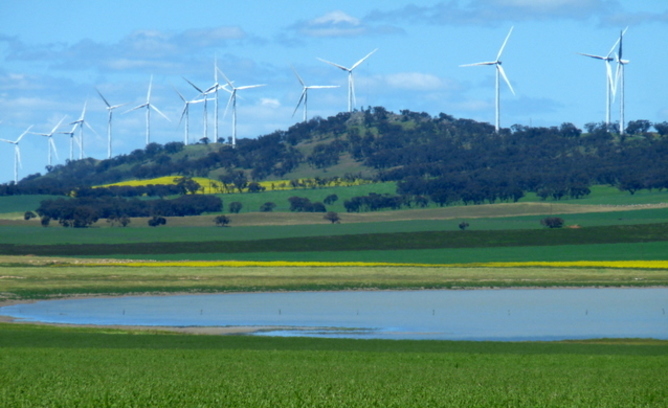 With at least 15 shovel-ready wind farms on the books in Victoria, reinstating the VRET would unleash an estimated $5 billion worth of investment across regional Victoria, and help the State catch up in it’s emission reduction efforts. This article was originally published in The Conversation. It can be found here. SA is already the leading Australian state in non-hydro renewable energy, with about 40% of annual electricity consumption now coming from wind and sunshine. SA has already shown that it can operate reliably and stably for hours when the contribution of variable renewable energy reaches two-thirds of demand, and last weekend wind power and gas coped admirably when the coal-fired Northern power station went unexpectedly offline. In Europe, the idea of a state moving to 100% renewable energy would not be regarded as a controversial proposal. The north German states of Mecklenburg-Vorpommern and Schleswig-Holstein are already operating on 100% net renewable energy, mostly from wind. The “net” indicates trading with each other and their neighbours. Although SA has transmission connections to Victoria only, it has the advantage over northern Europe that it is very sunny as well as windy. Our calculations show that SA does not need any baseload power stations, such as coal or nuclear. Indeed, the lack of operational flexibility of coal and nuclear makes them poor partners for high penetrations of variable renewable energy. The SA system has already operated reliably for long periods without its coal-fired stations, as last weekend’s incident demonstrated. Moving fully to renewable energy will deliver environmental, social and economic benefits. The transition would reduce SA’s greenhouse gas emissions, air pollution and associated respiratory diseases. It would cap electricity prices. SA could create a wide range of new jobs in manufacturing, installation, grid connection, technical support and sales, which could help to compensate for the forthcoming job losses in its coal industry. As for the nuclear question, the multinational financial analyst Lazard estimates the average costs of subsidized new nuclear energy in the United States in 2017 to be 12.4–13.2 US cents per kilowatt hour (kWh), compared with unsubsidized costs of 3.7–8.1 c/kWh for onshore wind, and 7.2–8.6 c/kWh for large-scale solar PV. For Britain’s proposed new nuclear power station Hinkley C, the UK government is offering a guaranteed price of 9.25 p/kWh (14 US c/kWh) increasing with inflation for 35 years. Thus new nuclear energy prices are roughly double those of onshore wind, and also higher than those for solar farms. Compared with nuclear power, an appropriate mix of renewable energy sources is just as reliable, less dangerous, cheaper, emits less carbon dioxide overall, offers a wider range of environmental, health and employment benefits, can be implemented much more rapidly, and is more likely to enjoy community support. What’s more, a nuclear power station (600 megawatts or more) would be too big for the SA grid system, and smaller “modular” reactor designs are not yet commercially available. Renewable energy, in contrast, is technically and economically feasible, and environmentally and socially desirable.